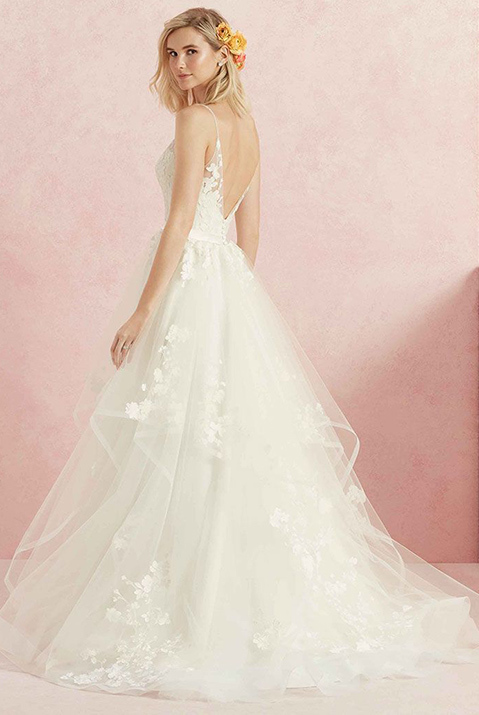 One of our newest collections is a division of one of our most popular designers, Casablanca Bridal. Beloved Bridal is committed to designing and producing handcrafted bridal gowns that reflect fashion-forward designs at amazing prices. Each Beloved gown is hand-made using the finest quality fabrics and lace, Swarovski crystals, and hand-sewn embellishments. Gowns range from 1,100 to 1,800 dollars.